I would have to admit that I'm an online shopper geek. For me, to have a convenience online shopping platform where I could get everything I wanted in one place would make my mood of shopping went on cloud nine. To my pleasure, I just recently found out about ezbuy.my, an online shopping platform that have what I've been looking for. 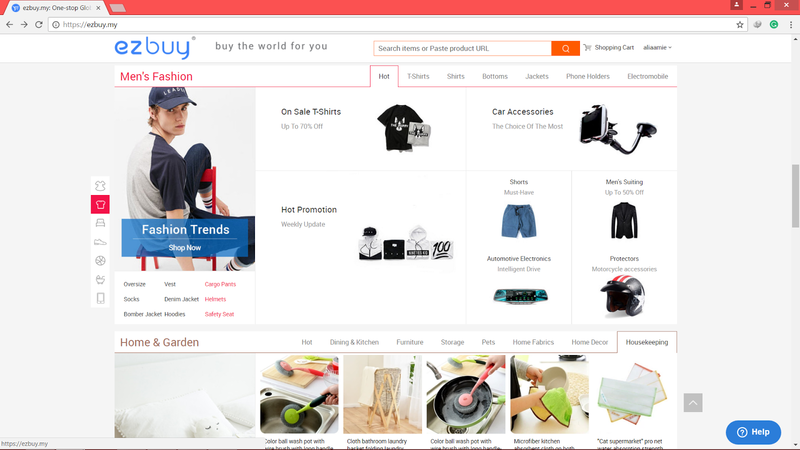 Ezbuy.my is an online shopping platform with a great variety of trendy goods from all over the world being delivered directly to you, transforming the way you shop! You can now shop 'overseas' without actually having to take a plane all the while still enjoying an authentic local shopping experience, indulged by the myriad of choices with high quality guaranteed products at the best prices. Trust me, every cents that you spend on ezbuy.my will be worth the items you purchased. Ezbuy.my always offer you the latest trending collections. 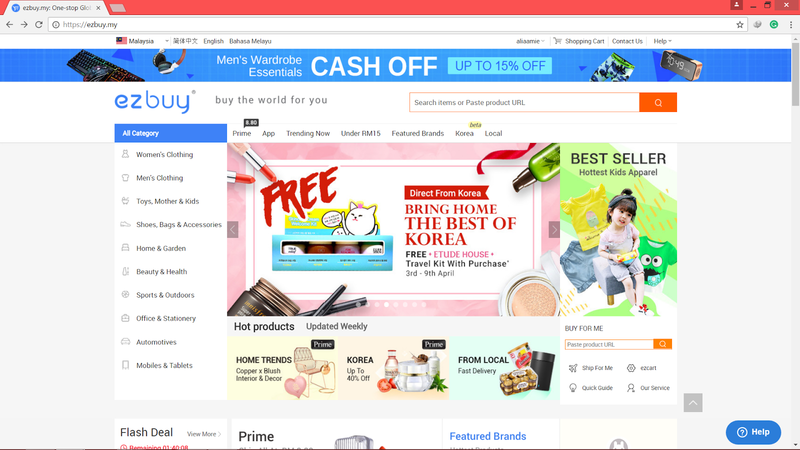 If you girls are into Korean beauty products and fashion, ezbuy.my is the right place for you as it is the current trend that they're currently offering! You won't have a hard time to find popular Korean brands such as Etude House and Laneige anymore as ezbuy.my have exactly what you're looking for. Guys, please don't be discouraged because believe it or not, ezbuy.my also offers you the latest and trendy men's fashion from top and tees to suit and blazer! On top of that, they also have a variety collections of electronic gadgets, home and office appliance products for you to choose from. Prime is a membership programme which guarantees your shipping fee to be fixed at a flat rate of RM8.80 regardless of your parcel size, weight and quantity of items bought per checkout. This would be a great deal for you who are an online shopper geek like me! Prime labels are clearly marked on all Prime eligible items, with the Prime icon shown on the product page, ensuring easy identification. You can visit HERE for more info. Brace yourself people, because the best thing is, with every registration to sign up with ezbuy.my, a RM15 voucher will be awarded! Tell me, who wouldn't want free money? Click the link below and sign up now so that the voucher will be yours! sekarang trend orang shopping online ..
selain mudah ia memang menjimatkan..
Tak pernah lagi try shopping sini but will try it soon.